*A new seminary website has been developed and is NOW LIVE! ! There are many new features and updates, including a blog. Visit the site and check out the various pages - and sign up to receive seminary news by email! The PRC Seminary faculty announces that the Fall 2018 issue of the Protestant Reformed Theological Journal is now available in pdf form (see attached). The print issue and the other digital formats (mobi and epub) will be available in a few weeks, but you can begin to read this new issue now in its pdf version. be helpful to ministers, elders, and seminary professors and students. God’s grace, occupies this office. the Reformed faith on the part of this servant of God. of those men who wrote for the ages. where pastor and elders take this work seriously. research regarding aspects of Calvin’s life, work, and teachings. are always open to the suggestions of our readers. Now, take up, read, and enjoy! The PRC Seminary, with help from Faith PRC's Evangelism Committee, held a special two-day 500th anniversary Reformation conference the weekend of October 27-28 at Faith PRC in Jenison, MI. The details of the event may be found on the poster below. A special website has also been created for the conference, which you may find at www.500thReformation.com . HERE WE STAND, the seminary sponsored weekend conference celebrating the 500th anniversary of the Reformation is now at hand. The first speech is at 4:00 on Friday, October 27 with additional speeches at 7:00 and 8:15. The conference will continue on Saturday morning. The speeches will be delivered by our three professors (Profs. R. Cammenga, R. Dykstra, and B. Gritters) and Rev. M. McGeown, Rev. David Torlach and Rev. S. Key. Talk to your neighbors and friends and join us at Faith PRC for this important event. The conference will be live-streamed on the Internet for those who are not able to attend in person. At the conference there will also be books for sale by the Reformed Free Publishing Association and Gary Vander Schaaf, and special displays of Seminary library books - new and rare - on the Reformation. In addition, the Reformed Witness Hour will have a special table featuring its ministry. We hope you make plans to attend this significant event! Set aside some time for some or all of the conference and plan to join us as we celebrate God's great work in the sixteenth century of reforming His church according to His Word. 1. Our seven senior seminarians passed their oral examinations before the PRC Synod the week of June 13, and all were declared candidates for the ministry of the Word and sacraments in the PRC on Thursday afternoon, June 15. All are eligible for a call beginning July 15, 2017. The seminary graduation program was held that night in Hudsonville PRC, with Prof. B. Gritters apeaking on "The Ministry: An Existence, Not an Occupation." We extend hearty congratulations to Matthew DeBoer, Brian Feenstra, Joseph Holstege, Jonathan Langerak, David Noorman, Stephan Regnerus, and Justin Smidstra, and pray God's blessing on them as they prepare to find their place in Christ's church. At the time of this writing, three of our candidates have received calls from the churches: Matt DeBoer to Edgerton PRC, Joe Holstege to Zion PRC, and Justin Smidstra to Southwest PRC. 2. In spite of the largest graduating class in the history of the PRC, the 2017 Synod took special note of the need for students to study for the ministry of the Word. Synod instructed “the Stated Clerk in his letter to the churches to include a notice of the future, urgent need for seminary students.” (Article 21). As the seminary opens its doors this fall, it will have one student in his second year – he is from our sister church in Singapore. And there will be three students in the third year – all of whom desire to serve as pastors in the PRCA. The seminary’s Rector reported that “it may well be a couple years before another member of the PRCA enters seminary.” This means that while there will be, D.V., students graduating in 2019, it will be several years after that before anyone graduates. What also makes the need great is the fact that eleven of the current 35 ministers are over 61 years of age. This indicates the need for seminary students. Even as we are very thankful for the current crop of seven candidates, Synod saw it important to inform the churches again of this urgent need. Please pray to the Lord of the harvest and please encourage young men, whom you observe to have the gifts, to consider the ministry. In that connection our young man may read the editorial of Rev. K. Koole in the April 1, 2017 issue of the Standard Bearer, "Our Need for Seminary Students; Time to Be Praying" and listen to the recent sermon, "A Prayer for Laborers in the Lord's Harvest," preached by Rev. Josh Engelsma in Doon PRC. 3. The Synod of 2017 called Rev. Douglas Kuiper to serve in the PRC Seminary as professor of church history and NT studies, in replacement of Prof. R. Dykstra. On July 2 he announced his acceptance of this call. We give thanks to God for providing a man for this position, and pray for him and his family as well as Edgerton PRC as he makes this transition and prepares for his new post (cf. picture below). Rev. Kuiper's farewell from Edgerton PRC is planned for Sunday, August 13. His installation as professor is planned for Wednesday, Sept.20, in Faith PRC, D.V. 4. FALL 2017 CLASSES TO AUDIT: The Seminary is inviting auditors to sit in two classes this coming semester. Classes begin on Tuesday, August 29. Prof. R. Cammenga will be teaching Dogmatics and NT History. Dogmatics will treat the locus Theology, in which we study the truths concerning God (His knowability, essence, persons, attributes, and works), giving considerable attention to the fundamental truth of the Trinity. NT History will cover the history of the intertestamental period and the life of Christ up to the Passion Week. If you are interested, please contact the seminary at 616-531-1490 by August 25 to “register” for the class. You can find the class schedule attached here or at the bottom of the Seminary homepage. 5. The PRC Seminary, with help from Faith PRC's Evangelism Committee, is planning a special two-day 500th anniversary Reformation conference for the weekend of October 27-28 at Faith PRC. The details of the event may be found on the poster below. A special website has also been created for the conference (in early stages of development yet). Find that at www.500thReformation.com . We hope you make plans to attend this significant event! Mark your calendars now and plan to join us as we celebrate God's great work of reforming His church in the 16th century. The PRC Seminary is now well into its second semester, with four weeks of classes to go and one week of exams, as of this date. Friday, May 12 is the final day of classes, while May 15 marks the beginning of exams. The faculty and students have been busy with their usual work of teaching and studying this semester, in addition to preaching in the churches, giving catechism instruction, and leading Bible studies. Both rounds of practice preaching have been completed, with the seniors now finishing this formal portion of their studies, while the sophomores now have four sermons completed (two each semester). The seven seniors have also started preparing for their synodical exams, which will be the first days of the PRC Synod 2017 in Hudsonville PRC, beginning Tuesday, June 13. Let us remember these young men and all of the students and faculty as they enter these final weeks of the semester and get ready for synod. Back in March the seminary again hosted two special Christian grade-school classes from the area. On Tuesday, March 28, the fifth graders from Adams Christian School in Wyoming, MI (taught by Mrs. M. Lubbers) visited and on Wednesday, March 29, the 4th graders from Heritage Christian School in Hudsonville, MI (taught by Mrs. J. Woudenberg) made their annual visit. Prof. R. Cammenga gave an introductory talk to the students before giving them a tour of the building. Afterward, these students joined the professors and students for snacks during coffee time. As always, these visits were an encouragement to the faculty and students, and we pray God uses them to sow the seed of desire for the ministry in the hearts of some of these young boys. Below are pictures of the two groups. Heritage CS fourth graders taking in Prof. R. Cammenga's talk about the seminary. Did you know that the professors' wives and the seminarians' wives also have special opportunities to meet together to share the challenges of being married to a seminary student and to learn about the special place a minister's wife has in the church? For example, on March 2 they met at the home of Prof. B. Gritters and his wife where Mrs. Jean Kortering (wife of Rev. Jason Kortering) shared some of her experiences as a minister's wife laboring in the United States as well as in Singapore. What a blessing these opportunities are for the ladies! Remember to pray for them too, as they support their husbands in their studies and in the ministry. The April 2017 issue of the PR Theological Journal is being prepared and should be ready soon. Watch for further notice on the seminary website for the release of this important periodical. In the meantime, you can enjoy the November 2016 issue by visiting the Journal page. Special notice! The Protestant Reformed Seminary is sponsoring a conference commemorating the 500th anniversary of the Reformation. The conference theme is: "Here We Stand!" It will be held at Faith PRC on October 27 and 28 of 2017. There will be six speeches given by the three professors and Rev. 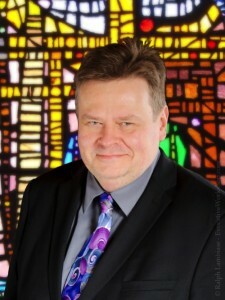 Steven Key, Rev. Martyn McGeown, and Rev. Mark Shand from the EPC of Australia. Please mark your calendars and make plans to attend. Below (and attached in pdf form) is the special flyer that has been made to promote the event. Do your part by printing the flyer and posting it around your area to spread the newsof this important event. 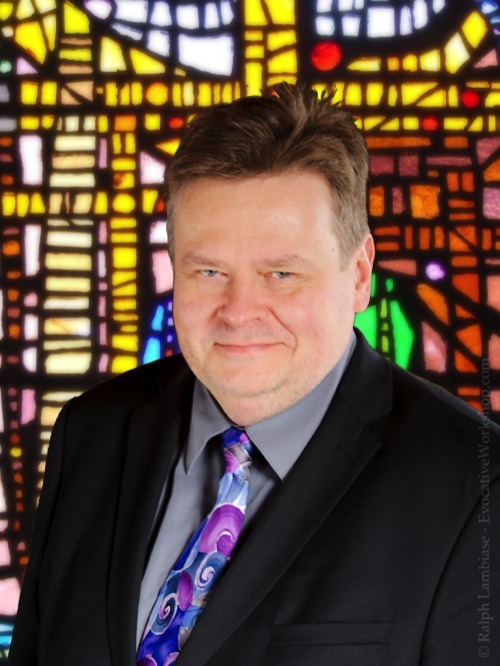 Professor David Engelsma (emeritus, PRC Seminary) was interviewed by Christopher Arnzen on his radio program “Iron Sharpens Iron” on March 30. The interview focused on the book The Sixteenth-Century Reformation of the Church (RFPA, 2007) edited by Prof. Engelsma. The subjects covered in the book and interview are timely and significant, especially in view of the 500th anniversary of the Reformation of the church under the sovereign direction of God through the work of such mean as Martin Luther and John Calvin. UPDATE: Now that the interview is completed, Mr. Arnzen has graciously made available an mp3 file of this interview. You may also find the link at the RFPA blog here. For more on Mr. Arntzen and his Reformed Christian radio program, visit the link above. Below is a brief description of him and his program as found on the website "Iron Sharpens Iron." Chris Arnzen | Christian Radio Programming & Advertising Executive & Talk Host of Iron Sharpens Iron. The PRC Seminary held its annual convocation on Wednesday, Sept.7, at Grandville PRC. Rev. Ken Koole, president of the Theological School Committee led in opening devotions. Bryan Westra (SW PRC) performed a beautiful arrangement of "Praise Him, Praise Him" on the piano for the special music. Prof. Russell Dykstra spoke on “The Ezra Model: Having a Heart for the Lord’s House,” expounding the Word of God in Ezra 7 and Nehemiah 8. It was a wonderful instructive and inspirational message (Watch for a link to it on Sermonaudio soon). And at the end of the program Prof. R. Dykstra introduced the four (4) students taking classes this semester (seven seniors are gone for their internships): from left to right, first-year student, Josiah Tan (Covenant ERC, Singapore); then second-year students Darren Vink (First PRC, Grand Rapids, MI), Jacob Maatman (Crete/SW PRCs), and Matthew Kortus (Loveland/Faith PRCs). May the Lord bless the faculty, students, and staff in this new season of instruction and preparation for the ministry of the Word. Let us remember to pray for this important cause in our daily prayers. It has been shown, that by the faith of the gospel Christ becomes ours, and we are made partakers of the salvation and eternal blessedness procured by him. But as our ignorance and sloth (I may add, the vanity of our mind) stand in need of external helps, by which faith may be begotten in us, and may increase and make progress until its consummation, God, in accommodation to our infirmity, has added such helps, and secured the effectual preaching of the gospel, by depositing this treasure with the Church. He has appointed pastors and teachers, by whose lips he might edify his people (Eph. 4:11); he has invested them with authority, and, in short, omitted nothing that might conduce to holy consent in the faith, and to right order. In particular, he has instituted sacraments, which we feel by experience to be most useful helps in fostering and confirming our faith. For seeing we are shut up in the prison of the body, and have not yet attained to the rank of angels, God, in accommodation to our capacity, has in his admirable providence provided a method by which, though widely separated, we might still draw near to him…. I will begin with the Church, into whose bosom God is pleased to collect his children, not only that by her aid and ministry they may be nourished so long as they are babes and children, but may also be guided by her maternal care until they grow up to manhood, and, finally, attain to the perfection of faith. What God has thus joined, let not man put asunder: to those to whom he is a Father, the Church must also be a mother. ~ John Calvin Institutes of the Christian Religion, 4.1.1. Our first semester schedule for the 2016-17 school year has now been approved by the faculty and the Theological School Committee. It is attached here as a pdf download, but the schedule may also be found on the Seminary calendar on the Seminary's homepage. Classes will begin on Monday, August 29, D.V. On that day we will be following the FRIDAY schedule of classes (see the schedule for details). Once again the Seminary is inviting those who are interested to attend selected classes this coming school year. The first semester begins Monday, August 29 and three classes are open to auditors: Dogmatics –Ecclesiology (doctrine of the church, including the essence, attributes, and marks of the church, as well as the government of the church and the sacraments), by Prof. R. Cammenga; Hermeneutics (interpretation of Scripture), and Reformation Church History by Prof. R. Dykstra. If you are interested in attending any of these classes, please call the Seminary at 616-531-1490 to find what times they meet (or check the class schedule below). Please register for these classes by this Thursday, August 25. The annual Seminary Convocation will be held Sept.7, 2016 at 7:30 p.m. in the Grandville PRC. Prof. R. Dykstra will be speaking on "The Ezra Model: Having a Heart for the Lord’s House." All PRC members and friends of the Seminary are cordially invited to join us as we mark the beginning of the new school year. The 2016 Synod of the PRC is conveying to the congregations through its Stated Clerk the future, urgent need for seminary students. Although we currently have ten students (7 seniors; 3 sophomores), 13 of our pastors are over the age of 60, we have one vacant congregation, Doon PRC is authorized to call a third man to the Philippines, and Byron Center PRC is authorized to call a home missionary. This represents 16 present and future openings, without factoring in the possibility of larger churches having daughter congregations. Let us pray that the Lord of the harvest send forth sufficient, qualified laborers into His harvest, and incline their hearts now to that work.